TS Constable Syllabus PDF can download Here. The Officials have released the TSLPRB Police Constable Exam Pattern on their official website @tslprb.in by the Telangana State Level Police Recruitment Board. The Telangana State Govt is going to release the Exam Date is in Sep 2018. Contenders can also download the Telangana Police Constable Syllabus on this Page or from the Official website. Contenders who are searching for the TSLPRB Constable Syllabus can download from the official website, those candidates who successfully enrolled their names in the Application forms they will have the use of this Telangana State Constable Exam Pattern Pdf in order to qualify for the Examination, Conducted by the Telangana State Level Police Recruitment Board. To gather more information about our site, stay connected to the @recruitmentindia.in page. TS కాన్స్టేబుల్ సిలబస్ ఇక్కడ డౌన్లోడ్ చేసుకోవచ్చు. తెలంగాణ స్టేట్ లెవెల్ పోలీస్ రిక్రూట్మెంట్ బోర్డు వారి అధికారిక వెబ్ సైట్ @ tslprb.in లో అధికారులు TS కానిస్టేబుల్ పరీక్షా సరళిని విడుదల చేశారు. తెలంగాణ బోర్డ్ 2018 జూన్ చివరి వారంలో పరీక్షా తేదీని త్వరలో విడుదల చేస్తుంది. తెలంగాణ పోలీస్ సిలబస్ ఈ పేజీలో లేదా అధికారిక వెబ్సైట్ నుంచి కూడా డౌన్లోడ్ చేసుకోవచ్చు. TS Constable Exam Pattern will help the contenders to get good marks and to qualify for the Exam at the time of attending the Written Test Exam. Because TS Constable Syllabus having the Major topics that are going to ask in the TS Constable Examination. If contenders cover all the Topics mentioned in the Telangana Police Syllabus then they can achieve success in the Examination. In Meanwhile, contenders to know more latest employment updates on the Telangana Govt Jobs, Stay tuned to our Website. This page will provide all the necessary information about the TS Constable Syllabus and also about the type of Exam. TS Police Examination is an Objective Type of Exam. In that, the main important subject topics are Arithmetic, Reasoning and General Studies. TS Police having of total 200 marks with 200 questions. Each Question Carries 1 Mark within a time duration of 3 Hours. In that TS Police Exam Pattern, Arithmetic and Reasoning combining of 100 marks and remaining 100 marks for General Studies Subject. This Syllabus is for Prelims TS Police Syllabus. To get about Admit Card, Look into our website. While in TS Police Mains Exam pattern is an objective type and Descriptive type of Exam Pattern. The paper I & Paper II is an Objective type and Paper III & Paper IV is a Descriptive Type Exam Patter. The paper I & Paper II TS Police syllabi Are Arithmetic & Reasoning and General Studies with 200 Marks Each with the time duration of 03 Hours. As similar to the Paper III & Paper IV TS Constable Syllabus having the topics are English and Telugu/Urdu having the Every 3 Questions having the time Duration of 03 Hours. 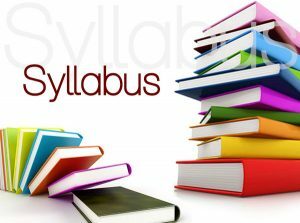 We provide the necessary steps to download the TS Police Syllabus from the Official website. Contenders can also download the @tslprb.in TS Police Exam Pattern from this Website, We provided the download links to get the Candidates TS Police Syllabus to crack the TS Police Exam and then step on to the next interview process. Candidates must remember that with the help of TS Police Syllabus only they can achieve success in the Exam. To get to know about Previous Papers, stay tuned to our Website, Download this Papers to get a brief idea about the Exam.